Strong evidence supports the association of added sugars with increased cardiovascular disease risk in children. The committee found that it is reasonable to recommend that children consume less than 6 teaspoons of added sugars per day and to avoid added sugars for children under 2 years of age. The committee statement went on to explain that increases in sugar consumption can lead to an increase in the development of the risk factors for heart disease, obesity and high blood pressure. Overweight children who continue to take in more added sugars are more likely to be insulin resistant, a precursor to type 2 diabetes. Added sugars are any sugars – including table sugar, fructose and honey – used in processing and preparing foods or beverages, or added to foods at the table and eaten separately. Do you have more questions about nutrition, sugar and kids? Then ask Dr. Hari of Sun Pediatrics. Dr. Hari is highly recommended by parents in Marietta and East Cobb. 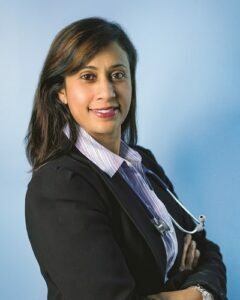 Sun is your local pediatrician serving families in Cobb County.